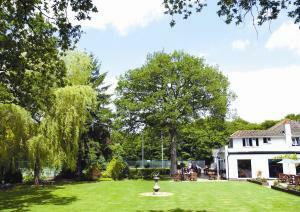 In 40 acres of gardens, near Crawley, 10 minutes' drive from Gatwick Airport, this country house hotel offers extensive leisure facilities and inclusive on-site airport-parking packages. Close to the South Coast, with good access to the regions major road network, the hotel is surrounded by its own challenging 9-hole golf course. 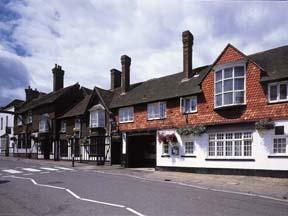 The hotel is situated in the village of Copthorne, between Crawley and East Grinstead. There is a 20-metre swimming pool, flood-lit tennis courts and an outstanding health club, where professional staff are on hand for advice. The Violet Haze Day Spa offers an array of beauty treatments and spa day packages. Parking (whilst you are a hotel guest) is free. There is a shuttle service to Gatwick Airport from 05:00 to 22:05 (at an additional cost). Set in an acre of garden surrounded by attractive woodland, this warm and friendly guest house is ideally placed for the seaside, South Downs and historic Arundal. Vicki and Mike, your hosts, offer bed and breakfast in a traditional family house. With just 4 rooms, we can provide an exemplary level of personal service. Wake up to a delicious freshly prepared breakfast in the conservatory or dining room overlooking the garden. Then head out to explore this wonderful area of the country. Chichester Theatre, Goodwood races and the seaside are all within a 10-minute drive. Alternatively, you can just spend relaxing moments in our lovely garden while the children play. 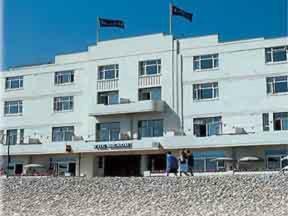 The Beach Hotel commands the finest seafront location in Worthing and is one of the leading 3 star hotels in town. Behind the elegant fa?ade lies all of the modern facilities you would expect from a hotel of this calibre. The hotel has been owned and managed by the Farnes family for more than 40 years and retains many original architectural features and charms of past times. All hotel bedrooms are non-smoking. Marvel at the beautiful sea views - a scenery which changes with the ebb and flow of the tides. Relax in the lounge as you reflect over morning coffee and afternoon tea. Enjoy the outside terrace where you can take pleasure from traditional English hospitality, whilst experiencing a truly cosmopolitan atmosphere. Take a stroll along the promenade after lunch and dinner, or simply sit and watch the world go by. Set within its own picturesque grounds, this former coaching inn, dating back in parts to 1430, provides traditional accommodation and a luxurious spa in the historic Sussex market town of Midhurst. Having been fully refurnished to provide all the comforts of a luxurious modern hotel, the Spread Eagle Hotel still retains many of its original features, including sloping floors, inglenook fireplaces and oak beams. The restaurant also features a beautiful stained glass window. In contrast to the historic aspects of the hotel, the Spread Eagle offers a modern spa, complete with an indoor swimming pool, hot tub, sauna, steam room and gym. Alternatively you can indulge with a personalised beauty treatment. Ideally located, The Woolpack Inn provides the perfect base from which to explore the South Downs and Chichester Harbour, just a 10-minute walk from the local train station. 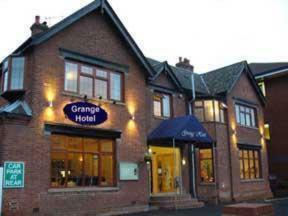 All comfortable rooms have en suite facilities and are well equipped with a TV, DVD player and CD player. The Woolpack Inn boasts a beautiful large garden, with seating area. Free parking is also available. The traditional pub serves a selection of real ales, along with a classic English menu. The Inn hosts regular entertainment nights, with a vibrant atmosphere. Sleep Boutique is 6 luxury boutique-style rooms in a 15th-century mill, The Wiremill, which also has a leading gastro pub with local cask ales. The Wiremill is on a 26-acre lake in the heart of the countryside and is a friendly escape from everyday life. Enjoy a refreshing drink on the lakeside terrace, and fresh local food. It is close to Gatwick, Brighton and London and is just 3 miles (4.8 km) from Lingfield racecourse. The award winning Utopia Spa is a short drive away. Ask the hotel about special rates. The local area is home to Ashdown Forest, public golf courses, and Hever Castle, Standen, Sheffield Park and the Bluebell Railway Line are all within 20 minutes' drive. Within 30 minutes you could be sitting on Brighton beach. Attached to London Gatwick Airport's North Terminal by a short, covered walkway, this hotel boasts excellent facilities, including 3 restaurants. The Gatwick Express rail link is close to the hotel, and provides a connection to London. Relaxing rooms and suites have air conditioning, multi-national satellite TV with pay movies, 24-hour room service, voicemail, dataports and refreshment trays. The hotel also boasts a business centre and a concierge desk. Conveniently placed on the A272 in the middle of Sussex countryside, this historic country inn encapsulates a balance between modern sensibility and rustic charm. Halfway between Midhurst and Petworth, Halfway Bridge is suitably isolated for a weekend break in the beautiful South Downs National Park. Its location is also convenient for links to Guildford, Portsmouth, Crawley and Chichester. The leisure resorts of Bognor Regis, Worthing and Brighton are also just a short distance away. Conveniently located within the airport, Courtyard by Marriott London Gatwick Airport offers contemporary air-conditioned rooms, all with satellite TV, luxury bedding and Wi-Fi (at an additional cost). The Courtyard By Marriott Hotel is just 8 minutes' walk from London Gatwick Airport's South Terminal, with the North Terminal easily reached via the airport transit train. The hotel also offers a regular shuttle service to and from the airport. Central London is just 30 minutes away, via the regular Gatwick Express Train service to London Victoria. All of the spacious, air-conditioned rooms have in-room laptop safes and LCD flat-screen TVs with pay movies. There is a fitness room and the hotel's Volare restaurant offers sumptuous Mediterranean food. For more casual dining, the Volare Lounge Bar is open 24 hours a day and is located in the heart of the hotel beneath the atrium. Courtyard by Marriott offers an 8-day or 15-day Park & Fly package and an excellent Park and Fly dinner menu. Children under 12 eat free, when accompanied by paying adults. Our hotel is set under the battlements of Arundel Castle and has an atmosphere of traditional permanence. The kind that prevails in all of the gracious buildings that make up Britain's colourful heritage. Part of the Forestdale Hotel Group. The Norfolk Arms is a charming Georgian Coaching Inn, built over 200 years ago by the 10th Duke of Norfolk. It soon became the local meeting place and a popular resting spot for weary travellers. To this day, the Arundel Society for the Prosecution of Thieves and Felons still hold their annual dinner at the hotel - a tradition which dates back to the 18th Century. Arundel is the ideal base from which to explore the beautiful countryside and many places of interest in West Sussex. Along with three designated Areas of Outstanding Natural Beauty - Chichester Harbour, the Sussex Downs and the High Weald, this area offers a diversity of fascinating places to visit. We have 21 rooms in the main house, and 13 courtyard rooms which whilst offering the same facilities as the rooms in the main house, do not have the same character. We are unable to guarantee the location of the room at the time of booking. Unfortunately the hotel does not have a lift. All of our 51 bedrooms are individually designed and equipped with every modern convenience. Set in the West Sussex countryside, in Lower Beeding, just a short drive from Horsham, Gatwick, Crawley & Brighton. Guests can enjoy the ultimate dining experience in our highly acclaimed Garden Restaurant overlooking the acres of matured gardens. Take advantage of complimentary use of the health club including indoor swimming pool, sauna and fully equipped gymnasium and Serenity Hair & Beauty Salon (at an extra charge). Formerly Petworth Railway Station, built in 1894 - now the perfect place to relax in colonial splendour. The guest rooms are all double, en-suite. There are 2 rooms in the Station House, the remaining guest rooms are in our fully restored Edwardian Pullman railway carriages. The magnificent guest lounge was formerly the waiting room and has a 20 foot vaulted ceiling. It leads out onto the platform which is a popular summer venue for breakfast. The dining area backs onto the station master's and ticket office, now the station kitchen, and features the original ticket windows. In winter, breakfast is served, accompanied by a roaring log fire, in the booking hall. Enjoy the romance of the 1870s within the grounds of this historic manor house, ideally located for touring this beautiful part of West Sussex. 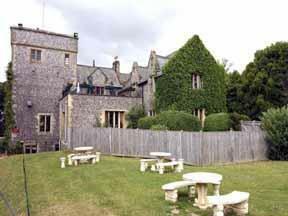 Highdown Hotel & Restaurant is privately run and set in its own grounds on the edge of Worthing. It offers fabulous food, superb wines, 13 comfortable spacious rooms and a Mansion Suite with four-poster bed. Highdown has its own restaurant with a carvery and full menu. With its unique seafront position, this hotel offers a heated indoor swimming pool, fine gourmet restaurant and bar. You are assured a warm and friendly welcome. The Best Western Beachcroft Hotel, a Sussex beachfront hotel and restaurant, offers well-appointed bedrooms in the village of Felpham. All bedrooms are of a good size and most offer spectacular sea views along the South Coast of England. Although there is no lift, some ground floor rooms are available. Please note that the hotel occasionally hosts functions Saturday evenings and during these events, music will be played until 00:15. Centrally located, a few minutes' walk from Chichester Festival Theatre and the cathedral, this beautiful 18th-century building has a brasserie and free guest parking. Within Chichester's old city walls, this Grade II listed building still has many Georgian and Regency features, such as its fine staircase and full-height sash windows. All rooms have new beds, bathrooms and furnishings. Some have beautiful Georgian features and overlook North Street, whilst others look out to Priory Park or over the city's rooftops towards the cathedral. Free wireless internet access is available in public areas. Relaxed and informal, The Ship's brasserie offers classic meals and char-grilled meat and fish dishes, all made using great locally sourced produce. In 34 acres of beautiful countryside, just 2 miles (3.2 km) from Gatwick Airport, this 18th-century farmhouse offers comfortable accommodation with modern comforts, including free Wi-Fi. With a convenient location, within easy reach of the airport and just 10 minutes from Crawley town centre, Waterhall Country House is great for a short Gatwick stopover or a longer break. Parts of this beautiful farmhouse date back to around 1750. All of the accommodation boasts modern comforts and facilities, including comfortable beds, TVs, hairdryers and radio alarm clocks. All rooms are en suite and come complete with large, soft towels. The on-site bar has a real open fire and is open until 22:00. Free parking is available for guests during their stay and on-site holiday parking is available on request at an additional cost. Please book in advance direct with the hotel. With a convenient yet relaxing location, Waterhall Country House prides itself on offering comfortable, spotlessly clean accommodation and great value. This newly renovated, modern hotel offers an informal but warm welcome in a prime location a few miles from Gatwick Airport and the M23. The health and fitness facilities include a swimming pool with bubble seats, a spa, saunas, a steam room and a fully equipped and air-conditioned gym. Crawley town centre is within walking distance of the hotel, and a shuttle bus service operates regularly between the hotel and the airport.